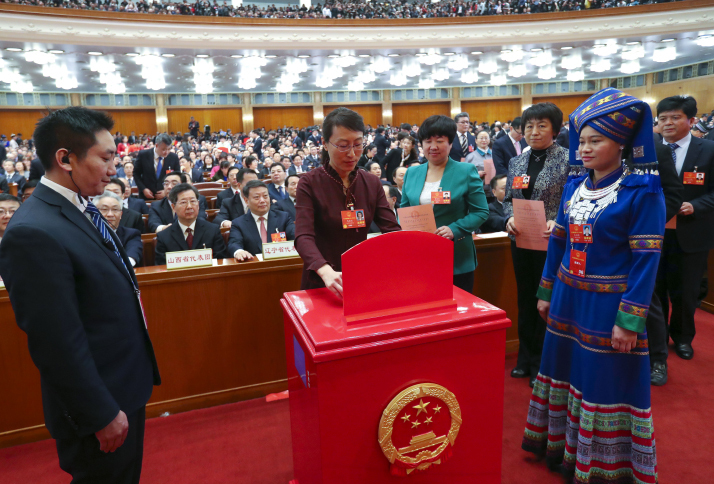 On March 11, the 13th National People's Congress (NPC), China's national legislature, adopted an amendment to the Constitution, marking the first such revision in 14 years. 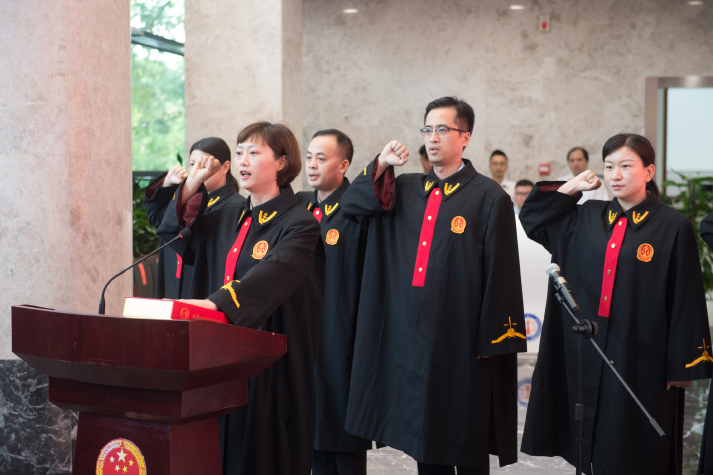 "The revision is intended to enable the Constitution to better reflect the people's will, to give fuller range to the advantages of socialism with Chinese characteristics and to better meet the needs of modernizing China's system and capacity for governance," Wang Chen, Vice Chairman of the 12th NPC Standing Committee, said in an explanation of the draft amendment made to the First Session of the 13th NPC on March 5. China's first Constitution was enacted in 1954. The current Constitution was adopted by the Fifth NPC on December 4, 1982. It has subsequently been revised by the NPC in 1988, 1993, 1999 and 2004 to meet the needs of China's reform, opening up and modernization drive. Now over a decade has passed since the last changes to the Constitution and China's social and economic development has undergone a number of important and profound changes, particularly since the 18th Communist Party of China (CPC) National Congress in 2012. With Xi Jinping at the core, the CPC Central Committee has united and led people of all ethnic groups to uphold and develop socialism with Chinese characteristics, forming a series of new concepts, thoughts and strategies regarding national governance. Xi Jinping Thought on Socialism with Chinese Characteristics for a New Era was established as a guiding ideology of the CPC at the 19th CPC National Congress in October 2017, making it the fundamental theoretical guide for the cause of the Party and the country. As the ruling party, the CPC has continually advanced with the times, constantly attempting to perfect the national governance system to adapt to new circumstances. The CPC Central Committee decided to initiate a constitutional revision at a Political Bureau meeting on September 29, 2017. It made public its proposal on changes to the Constitution on February 25. A country's constitution can have sustained viability only by adapting to new situations. This is why many countries across the world amend their constitutions and China is no exception. One of the main aims of this revision is to incorporate the major theoretical innovations and policies put forward at the 19th CPC National Congress, especially Xi Jinping Thought on Socialism with Chinese Characteristics for a New Era, in order to reflect the new achievements, experiences and requirements of the Party's and the country's development. The incorporation of Xi's thought into the CPC Constitution at the Party's 19th National Congress reflects the will of the CPC membership, and its inclusion into the country's fundamental law clearly shows the common aspiration of the Chinese people. Xi's thought is the latest achievement in adapting Marxism to the Chinese context and encapsulates the practical experience and collective wisdom of the CPC and the people, said Shen Chunyao, Chairman of the Legislative Affairs Committee of the 12th NPC Standing Committee, at a press conference after the amendment was adopted. In total, 21 revisions to the Constitution have been made, including the addition of a statement that the leadership of the CPC is the defining feature of socialism with Chinese characteristics to Article 1. "The Constitution has always been very clear and consistent on the CPC leadership. By writing the new sentence into the Constitution, the principle was strengthened, deepened and expanded," said Shen. He added that the revision has reflected the fundamental, comprehensive and contemporary nature of the CPC leadership. A major highlight in the constitutional revision is the reform of the supervisory system, which aims to pool anti-corruption resources, enhance the Party's centralized, unified leadership over the campaign against corruption and form a centralized, unified, authoritative and efficient supervisory network. Since the 18th CPC National Congress, China's sweeping anti-graft efforts have borne great achievements and won extensive support from the public. The Party's discipline inspection commissions at various levels and supervisory departments within the government have constituted the major force to fight against corruption. Currently, intraparty oversight has been effectively strengthened, with all Party organizations and Party members being supervised. However, the authority of administrative supervisory departments is limited and it is unable to challenge other state organs. Thus, the CPC has continued to evaluate how best to deter those who execute public power from committing crimes under legal pretenses. This problem was fundamentally solved at the First Session of the 13th NPC by establishing supervisory commissions as a state organ. The constitutional amendment devotes a section to supervisory commissions in the chapter on the structure of the state. Article 123 reads, "Supervisory commissions at all levels of the People's Republic of China are the country's supervisory organs." In addition, the making of the Supervision Law aims to grant supervisory commissions at all levels great authority. According to the relevant clauses of the law, all those who execute public power will be covered. This is the anti-graft legal system with Chinese characteristics, an effective system fit for China's national conditions and developed based on the CPC's experience to purify itself during the past decades. On the basis of incorporating existing supervisory and corruption prevention agencies within the government and procuratorates, supervisory commissions investigate all duty-related illegal and criminal acts. This will ensure that power is exercised in an institutional framework and that the power entrusted by the Party and the people is truly exercised for the benefit of the people. The fundamental objective of China's supervisory system reform is to modernize its system and capacity for governance. This round of supervisory system reform shows that to counter corruption by legal means is key. To grant supervisory commissions status as a state organ as well as certain duties and investigative powers will not only support the supervisory commissions' work in accordance with the law but will also help tackle some persistent legal problems. Supervision by a legal, long-term anti-graft mechanism will contribute to a prosperous and upright society in China for many years to come.